The governors of Arizona and Nevada say their states will join 14 others suing the federal government over health care reform. Gov. 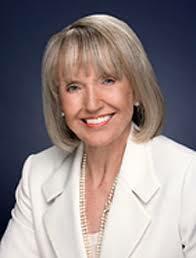 Jan Brewer announced Arizona was joining the suit Tuesday night. She signed a bill April 1 that gave her the authority to skirt the state's Democratic attorney general, Terry Goddard, who declined to sue on the state's behalf. Republicans say the bill signed by President Obama is unconstitutional in part because it requires people to buy private health insurance. Goddard and other Democrats say a suit would be unlikely to succeed and thus a waste of taxpayer money. Also Tuesday, Gov. Jim Gibbons signed an executive order for Nevada to join the multistate challenge to the federal legislation. 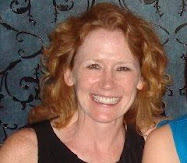 Nevada Attorney General Catherine Cortez Masto, a Democrat, refused an earlier directive from Gibbons to join the suit. Amendment 10 - Powers of the States and People. Ratified 12/15/1791. Oh, and about the the commerce clause? Commerce is about activity. The newly enacted health care bill regulates inactivity. If the federal government can mandate that you get off the couch and buy health insurance just because you draw breath in the U.S., what will stop it from requiring you to buy compact fluorescent light bulbs (that take forever to warm up and have an unacceptable failure rate), pasteurized oysters (that taste like rubber), shares in a government-owned bank, and a GM automobile (that you may or may not want)?